If this description makes you think of Elizabeth Bennet, then you will enjoy noting several such Pride and Prejudice references throughout this novel. This gave me insight into the overall tone of the novel—a loving mother wrote this, with her daughter in mind. Lucy Carmichael is strong young woman–‘cheerful and confident’, as mentioned at the outset–with many winning character traits. She doesn’t really need a man, but doesn’t realize this until the end. In spite of the fact that she begins rather shockingly as the poor jilted bride, Lucy has a number of men who want to offer her consolation. The crux of the matter is quickly given at the outset, so it’s not a spoiler to point out that Lucy is left at the altar. Thus we begin with a once-vibrant young woman, crushed and brought low. It’s where Lucy Carmichael goes from here that makes the story interesting. But we feel for Lucy, very keenly, with these little revelations. And the brilliant aspect of this method results in us wanting to know more of her thoughts and feelings. The reader welcomes the slow revealing of Lucy’s inner world, as the heartache begins to ease. She is a kind, dynamic, ‘can do’ sort of person. As she begins to heal and grow into her new life—indeed, to regain her former brilliant sparks of life—we enter more of her direct conscious thought, experience more of her life as it is happening, and are no longer at one remove by means of secondhand information or letters. It was almost as though Kennedy (once again, in a kind motherly fashion) kept us at a polite distance from this strong-minded young woman and protected her while intensely vulnerable. As mentioned, there are many delightful references to Jane Austen, particularly Pride and Prejudice, for we have none other than a brooding, supercilious Mr. Darcy character sketched for us, under the name of Charles Millwood. He is quite above Lucy in social station—a girl he barely notices at first and then describes as ‘unabashedly middle class’—but he cannot help but be moved by her fresh beauty and strength of character. Kennedy does not make this mistake with her fictional Charles Millwood. In the end, we know Lucy has found happiness with herself, that all-important inner self worth that no one can take away. ‘Her restlessness was all gone. A bliss, an ecstasy, came to her, which she had known constantly in childhood but which she had thought to be lost. It came again, the overpowering joy, from the fields in the yellow winter light it came, from the huge sky, from the hard ice beneath her singing skates. Now would be a very good time for Mr. Right to show up, just when he’s not needed, and looks all the better for it. Does he? So wrote Margaret Kennedy, in her comments on Pride and Prejudice. 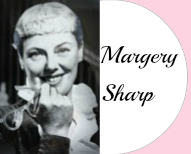 In Lucy Carmichael, she created a very charming, very believable heroine. And gave her happiness. Which is always nice to have, in the end. The fiction of Margaret Kennedy suggests a fall/winter kind of mood for me, so tonight, with the wind sculpting crispy piles of leaves into undulating drifts, (hold off rain, please, just one more night!) a warm fire going and a glass of amber scotch in hand, I finished up The Ladies of Lyndon. 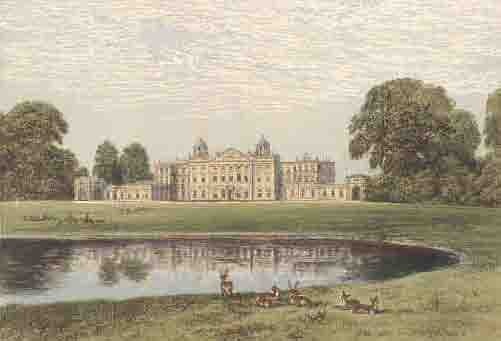 Generally, I enjoy a good ‘English country house novel’. 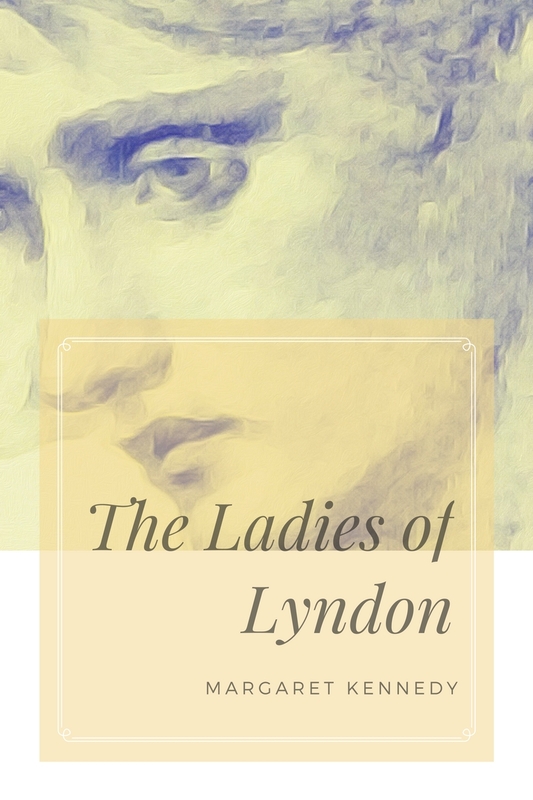 The Ladies of Lyndon is that, but this engrossing story is really much more than the appealing romance of setting. 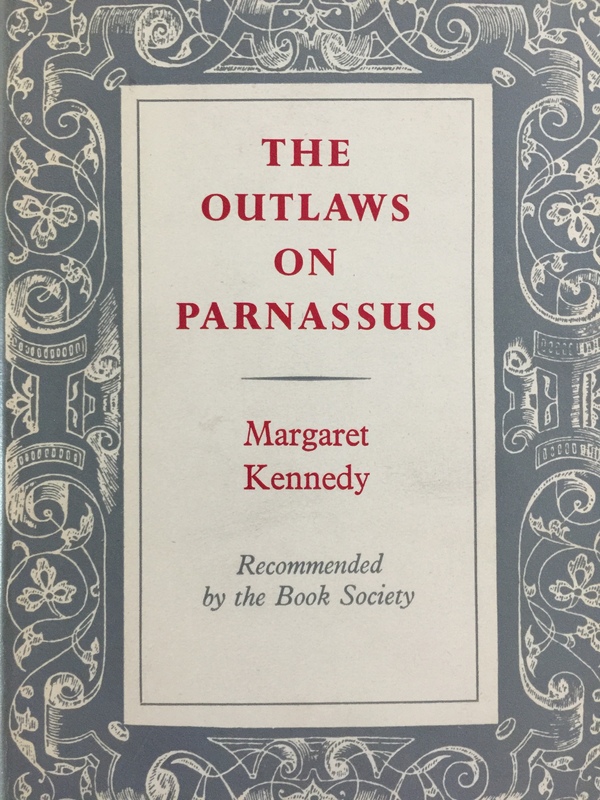 Perhaps what is suggestive to me of fall/winter reading is that the world Kennedy creates reminds one of a heavily embroidered tapestry to burrow into. There are warm depths and lavish layers and unexpected sheen and a richness of texture; a faintly exotic perfume has been woven in with the silken strands, no detail is too slight, no stitch is wasted. Other reviewers have commented on the warmth and richness of Kennedy’s style; her lovely heroines remind us of a Rossetti painting, some of her scenes created as ‘extravagantly grand’ as a Watteau composition. We can’t stop thinking about that passage. 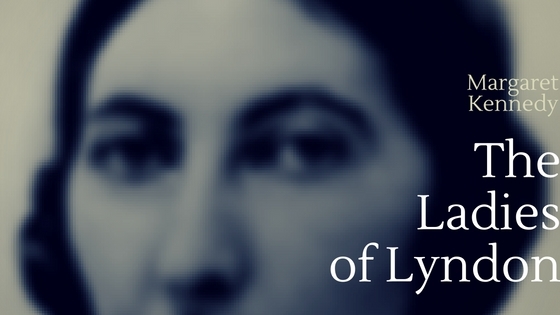 Besides the fact that The Ladies of Lyndon is an engrossing novel of plot and excellent characterizations, and can be enjoyed on that level alone, there is something Margaret Kennedy was trying to say with this, her first novel. She does seem to have moral underpinnings to her stories that I have read so far. Yet there are no judgements passed with heavy hand, ladling on the gravy of philosophy, as it were; her characters are not drawn in clear black and white tones, good and evil; her eye for folly is keen, still she is sympathetic to all, and renders her conflicts with beautiful subtlety. But Margaret Kennedy does explore probing questions, through the dialogue and difficulties of her characters. The period she grew up in, and the period she writes from, was one fraught with change; politically, morally, socially, economically. The scene set, in this case, is a gracious country house and its wealthy inhabitants. The time period is the close of the sleepy, decadent Edwardian age, just before the first World War. If this makes you think of Downton Abbey, it’s a good comparison; both in time period, and the ‘remains of the day’ aspects of life for the privileged classes in England. 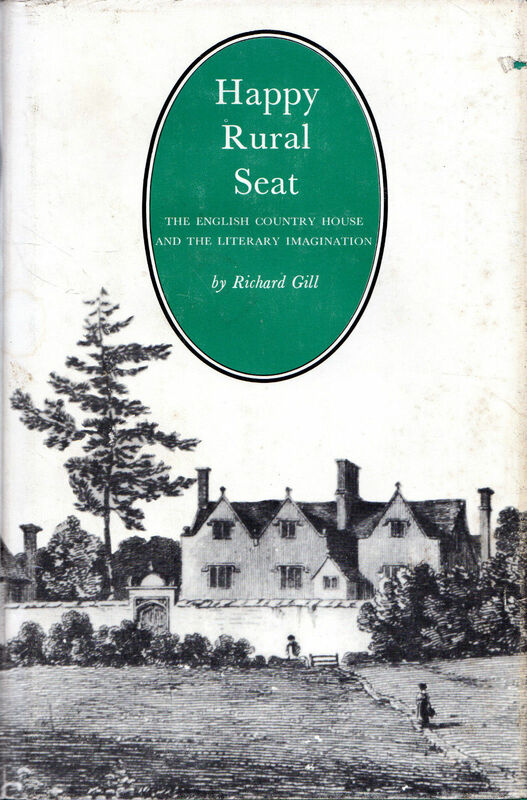 At the apex of these kinds of stories, there is always the big house, the country house; for life under the roof of the English country house was considered a microcosm of all England. Margaret Kennedy, with a mix of irony and pride, lovingly describes this piece of England she created. This ‘assured artificiality’ provides the perfect setting, like a velvet jewel box, for the lovely Agatha, the newly installed Lady Clewer. Her beauty is described in terms that make you think of the afore-mentioned Rossetti painting, as, ‘a siren’…. The family name attached to Lyndon is Clewer, and at one point, there are three concurrent Lady(s) Clewer. Quite cleverly, for her purposes, Kennedy has drawn them from three different strata of English life. The eldest Lady Clewer, the widowed Marian, is from the manufacturing class; a.k.a. trade, middle class, wealthy. She is brisk, efficient, and takes a practical view of what is involved in the managing of a great house. She has her flaws, but is not unlikeable. Agatha, young Lady Clewer, as mentioned, has been groomed for nothing else but to grace such a home as Lyndon. She has a kind, sympathetic nature, and wants to see herself serving some greater purpose in life. In spite of this, she has no concept of work, or, for that matter, has the least idea of how to manage a large house. There is always someone to do things for her. For all her ample, serene beauty, she is ‘fragile’; a word continually used to describe her. She is unable to produce a living heir to continue the Clewer traditions. (This increasing sterility of the privileged class is a familiar one in literary works from this period.) She marries John Clewer for what she thinks is love, but upon consideration, and after a few disappointing years, she realizes she loves her cousin Gilbert even more, and should have married him. She agonizes, through much of the book, over her failed marriage, over what to do, and what is ‘right’. We soon tire of Agatha; she becomes dreary, self-serving, and predictable in the choices she makes. “They do say that these people, what made their money in trade, are getting into all the old houses nowadays,” agreed Dolly. But we’re talking about the Ladies here, so back to Dolly. She becomes the next Lady Clewer, which the reader saw coming. Dolly is eminently likeable—she is self-assured, unselfish, and has a kind of practical wisdom and moral grounding that will ensure the survival of her and ‘her kind’. As she immediately begins producing healthy, robust Clewer children—something Agatha has been unable to do— it is clear that types like Dolly are seen as stabilizing the future of the privileged class with an infusion of new life, new thinking, work ethic, morals, and permanence. The rest of the women of this novel, all of them related to each other by birth or marriage, are all powerful characters in themselves. Kennedy does not create wimpy sketches of character. They all feel real, authentic, with lives of their own. John Clewer is an exception to this; but he is clearly meant to be ‘a type’. 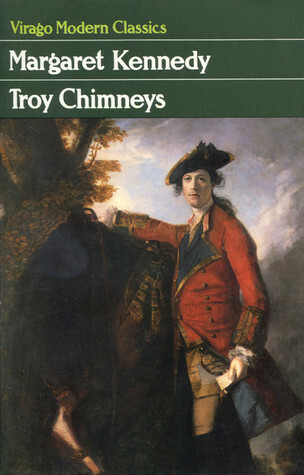 The wealthy squire, who soon ‘thickens in the neck’ and becomes more ruddy by the day; this is a kind of personality that Kennedy apparently feels is already well-known through literature. He needs no ‘fleshing-out’, he is already well-fleshed. So, beyond a few descriptions, such as his prize cattle, his desire for a beautiful, compliant wife, and his one explanation of himself, we are left to surmise about John Clewer. There’s a fair number of marriages that happen, and you might think you were in Barsetshire for a day. But each union is thoroughly intriguing on its own, and each relationship between the pairs is much more complex than those in an Angela Thirkell novel. Lois and Hubert are particularly engaging and believable as a couple. Lois is John Crewer’s step-sister, so she is one of the lesser ladies of Lyndon. Lois longs to escape Lyndon, and her knight errant is the self-consciously adorable Hubert. Lois and Hubert are well-matched in love and talk endlessly together—Kennedy’s novels are nothing if not rich in dialogue—and by the end of the novel these two are still talking. They are quite useful in conveying information important to the flow of the story, but by the end the (impatient) reader is ready to distill the intensity down into brief, simple narratives, minus dialogue and interruptions to dress for dinner, in order to trundle along more quickly to the inevitable conclusion. Of the male characters, the most interesting is James Crewers, previously mentioned. He is another product of the same class Agatha is from, and just as helpless in many ways, but for different reasons. He needs Dolly to take care of him, keep his clothes clean and pressed, raise the children, decide what knick-knacks go on the mantel, and even choose where they’ll live. She knows nothing of art, but she just knows her husband is an artist and a gentleman and as such, must be given every possible space in life to create something that the world must need. The endearing thing about these two is that they are devoted to each other. I would be remiss if I didn’t mention Gilbert Blair, the ‘brilliant cousin’ of Agatha. He is not meant to be an attractive character; merely an enigma, a tantalizing shadow to Agatha of what might have been. The amusing thing about Gilbert—although he himself is rarely amused by anything and takes his seeming lofty views much too seriously—is that he is considered by everyone else a Socialist. He’s an ‘unruly element’. (That makes Kennedy’s choice of how to deal with Gilbert all the more piquant, and surprisingly current.) He despises the opulent way of life that Agatha and the Clewers live, but is often there enjoying their generous hospitality. He likes to be known as one who provides health care to the poor and needy, but makes no secret of how he despises the filthy ‘scum’. He is morose, and seems to only take pleasure in pointing out how everyone else is living their lives all wrong. “You can’t do what you think wrong,” [Agatha] said doubtfully. “Oh, yes I can,” he assured her. Although this novel explores relationships a great deal—what works and what can go wrong, what leads to happiness and what does not—I think of this more as a country house novel in the overview. Perhaps not in the grand tradition of writers such as Henry James, or Aldous Huxley, or Elizabeth Bowen, or Evelyn Waugh, but it should at least be on the list. 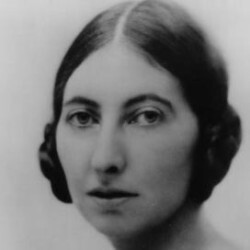 Margaret Kennedy’s The Ladies of Lyndon, though written in 1923, on the other side of the war, fits more closely in intent, I believe, to the latter category of Forster and Ford. In the strangely cobbled together Clewer family, and their varying fortunes and walks of life, she attempted to posit a future, not just for houses like Lyndon, but for England itself. We all know what ‘original recipe’ means. It means a recipe that has been passed down from someone’s momma to someone’s momma until it passed to someone’s son who figured out how to patent it and start a chain of fast food restaurants. A recipe involves a formula, a pattern, which would appear to contradict the idea we have formed of ‘original’. But is there an original pattern for a novel? Is there even an original novel, widely recognized as such, from which sprang the seminal pattern? These are the sorts of things I wonder about before my life gets more orderly with a plate of scrambled eggs. To unlock, in a scholarly way, the mysteries of a term such as ‘original novel’, that would appear to be both contradictory and redundant at the same time, is a question I would defer to James Harbeck of sesquiotica, a brilliant blog on word origins. A professional editor, the creator of ‘word tasting notes’ he even manages to make the subject entertaining. And to unlock the the mystery of what actually qualifies as ‘the original novel’, as in the first novel ever written, you would soon find yourself in a morass of conflicting opinions and ideas that would take you everywhere from The Sumerian Shakespeare to eighteenth century political satire. Original: Comes from the word we know as orient, oriental, meaning East. To the ancients, the east was the source—the origin—of both light and life. In an interesting connection to our word novel—novel in the modern sense of a structured story with written words—we have the ancient Hebrew word qdm, which also meant east, or ancient. Who was Cadmus, according to the Greeks? The originator of their alphabet and writing. The original writer, as such. ‘Cadmus’ name is of uncertain etymology. It has been connected to Semitic qdm “the east” and Greek kekasmai (<*kekadmai) “to shine”. Did our original writer write novels? Novel: comes originally from ‘nova’ meaning new star. This provides an interesting link to the Greek word above, kekasmai, ‘to shine’. Our current use of it, however, comes via Latin, from the word nouus, and nouellus, and finally to novella, a short or middle length story…which the English took and shortened novella into novel and increased the length of the story. Funny how they did that. All of this still keeping the meaning of ‘something new’, something born. Linked to the ancient origin of novel is ‘novelty’, and this is, as some argue, why the novel has never been given proper credence as an art form. The Greeks dismissed it as such, giving a Muse to Poetry, Music, Art, and the like. To the novel there has been given no star-like brilliance. Novelists still are aching to shine. ‘They told a lot, but of course they didn’t tell everything. This is the magic of a superb storyteller. Margaret Kennedy’s novel The Feast (1949) spins a web of taut suspense that captures a reader from the outset. The atmosphere is lightened at times by some humorous moments, some sardonic wit, yet the unfolding human drama—revealed via letters, journal entries, and some ‘real-time’ scenes and dialogue— builds irresistibly. In the beginning it is reminiscent of an Agatha Christie mystery. The guests begin to arrive; they come by train and car…all burdened with dreary baggage of one kind or another, all hoping for a summer escape. It is the kind of scene setting that I love, when a variety of characters are assembled under one roof, and they begin a sort of psychological journey together. Soon enough the potentially explosive dynamics and the often heart-breaking complexity of human interaction begins to play out, muddled along with the daily routines of emptying slops, burning the toast or serving cold haddock. There is even a romance that begins to brew from an unlikely pair. The victims, the heroes, the villains start taking shape. There are sweet children, there are kind people, industrious people, there are some louses and human detritus, but from the beginning we know that seven of these people will die. The cliff that towers so magnificently over the house will tumble down, and seven people will be trapped inside. The house becomes their tomb. The rest? They will be safe, at The Feast. I particularly loved the almost Hitchcockian way that Kennedy employed the natural world to heighten the sense of crisis. 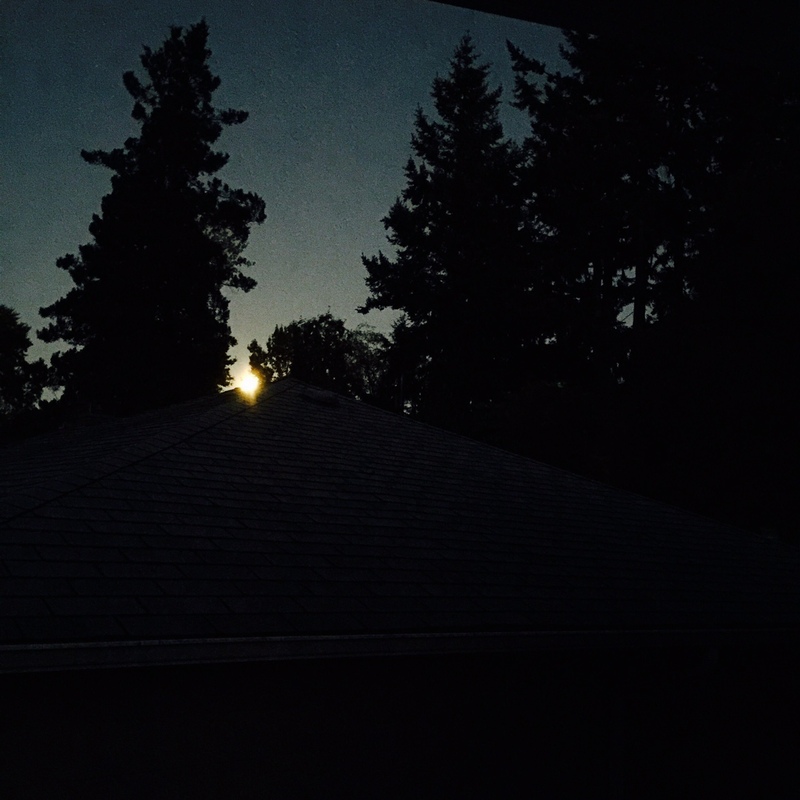 The widening cracks in the bluff above; the sudden lack of nesting gulls in the cliffside; the mass exodus of scurrying mice across the patio, the intermittent fall of rocks from above…all tell the reader that the disaster is imminent. The household though, at least until the very last, remains pitifully unaware. The novel is, indeed, well-laced with allegory; but because the story is so absorbing, and the characters so real, their interactions so life-like, the allegorical underpinnings do not distract. Rather, they give you cause to keep thinking about the book after it is concluded. Reading a novel like this reminds me of what it felt like reading fiction in ‘the old days’; that state of being completely engrossed in the characters and their stories. 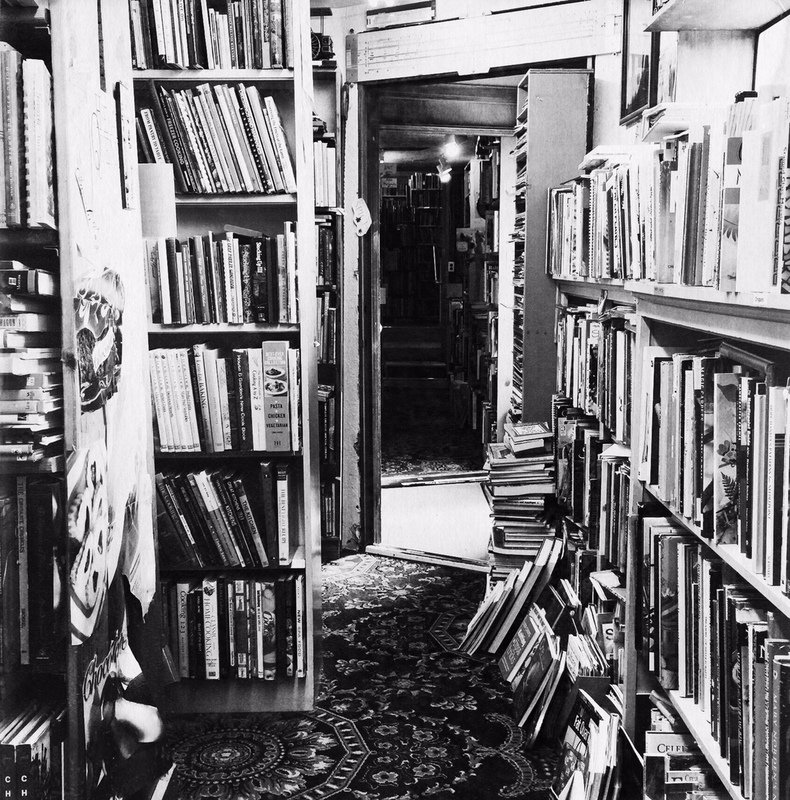 The feeling that you cannot put down the book until you have finished it. These days, that’s a rare treat. Thanks to Jane and her lovely reader’s blog for sharing her appreciation for the works of Margaret Kennedy. I have really enjoyed discovering this enigmatic author’s work, and the good news is–I have a lot more books to go! The allegorical spine of the story is, according to the author’s own comments, The Seven Deadly Sins. As the story develops, each of the seven who die in the collapse can be readily tagged with the ‘sin’ that they personify. These characters, we are given to understand, could have changed, could have bettered themselves, but did not. Their character and principal negative attributes harden as the story progresses, and by the end, we have a pretty clear idea who will be the seven who die. (we actually know one identity from the beginning of the story, it is the other six we are left to surmise). Their deaths are to be viewed as retributions. Their bodies are utterly buried in rock; unrecoverable. What could be conceived of as ‘an act of God’, is also, the author makes clear, something that could have been avoided. No lives needed to be lost. There were clues as to what was happening to the hillside, and there was even, we find out, a letter from a Government official warning that the cliffside was unstable. The warning went unheeded. On the other end of allegory there are the Seven Virtues. In the religious thought apparently being referenced by the author, these seven virtues can prevent the seven sins from flourishing. These virtues are represented by the children—there are seven youth staying in the hotel— and principally would apply to the three innocent Cove sisters. They are tragically neglected by their mother, (what a horrible woman….! perhaps a bit exaggerated for effect, but effective for the storyline)…but the girls maintain such a positive, happy spirit, and generous nature, they are truly the heroes of the story. Faith, virtue and love would be my assessment for Blanche, Maud, and Beatrix. Of the other four children, the strong-willed Hebe and her outlandish bravado surely represents Courage. The death of the seven people in the end is balanced by the life that is now given, is essence, to the deserving, the innocent, who are at ‘The Feast’ when the disaster strikes. The feast enjoyed at the end is itself allegorical, referencing the Feast of Fools. This is strongly suggested by the tone of childish amusements, the concept of the humble and downtrodden asserting temporary power, and certainly the costumed buffoonery of the Cove children’s party, which makes no sense otherwise! By this time in the novel, the reader is well aware that this is the most vital scene. Everything has led us to this feast. Nothing, from food to drink to songs sung, was left to chance—not with an author so clever as Margaret Kennedy. She is weaving her strands together into one final, decisive knot. The tone of the ‘feast’ is styled for a reason. Everyone is to come dressed as an Edward Lear character; even the very modest Mrs. Paley dons an impossibly ridiculous hat, to the scorn of her husband. “What are you?” he shouted. “A Quangle Wangle,” she quavered. The oddity intensifies; the singing and dancing spirals to a rowdy crescendo; it all begins to feel increasingly bizarre, yet you know one thing for sure. Margaret Kennedy is leading you to a very clear moral destination. In my reading life, I am never far from Jane Austen. Even when reading the works of other authors, there she is. While reading a novel that might seem completely unrelated to Jane Austen—she appears. The hero or heroine is reading her, or refers to her, and the narrative device thus employed is almost always used as a character statement of approbation. That last word, by the way—approbation—entered my vocabulary by way of Jane Austen. Were I inclined to be interested in zombies and vampires, there too, even so, I would find Jane. Most prefer finding Jane via the usual routes. Her words. As if millions didn’t already know this…her words are superb. 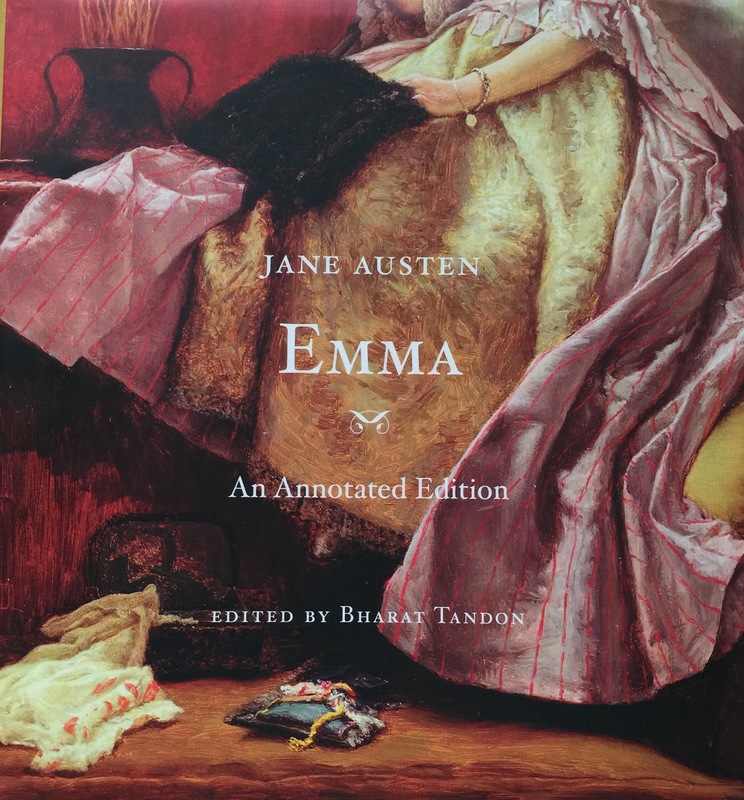 Plus I’ve just finished the absolutely stellar audio version of Emma read by Jeremy Northam. This is an abridged version, (sad to say) but so worth feeling cheated! His rendering of Mrs. Elton, …“Maple Grove…” “….barouche landau…” gave me many laugh out loud moments. A very good reason to brush up on my Emma is the lovely series going on right now at sarahemsley.com. Called Emma In The Snow, it is in celebration of the fact that this year marks 200 years since the publication of Emma. 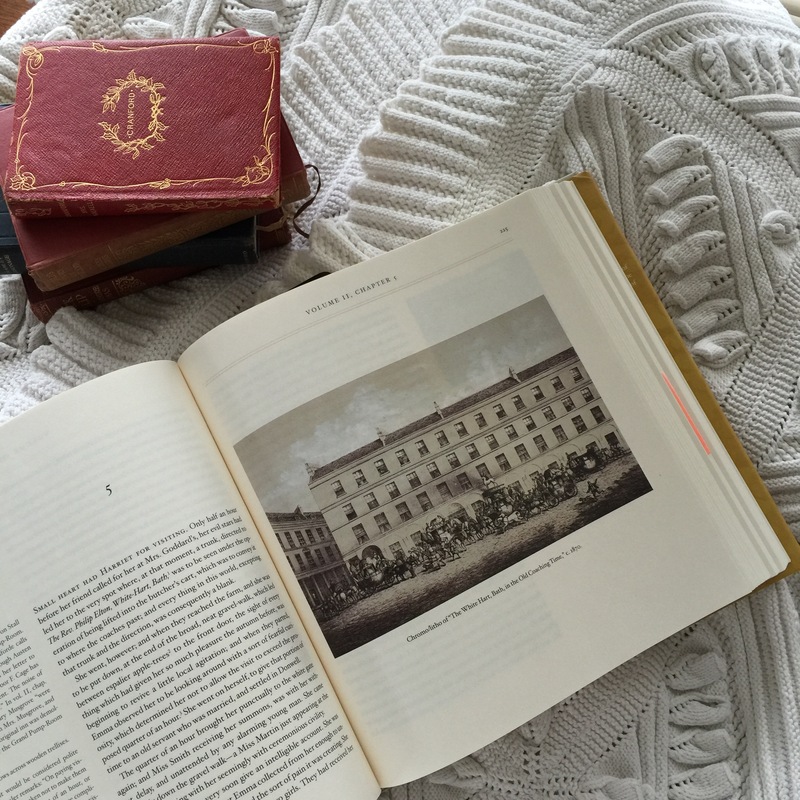 There are fascinating angles from a wide range of authors being discussed on Sarah’s blog, and even a diehard ‘Janeite’ will find new insights and reasons to love her novels. For me, Emma has many attractions. 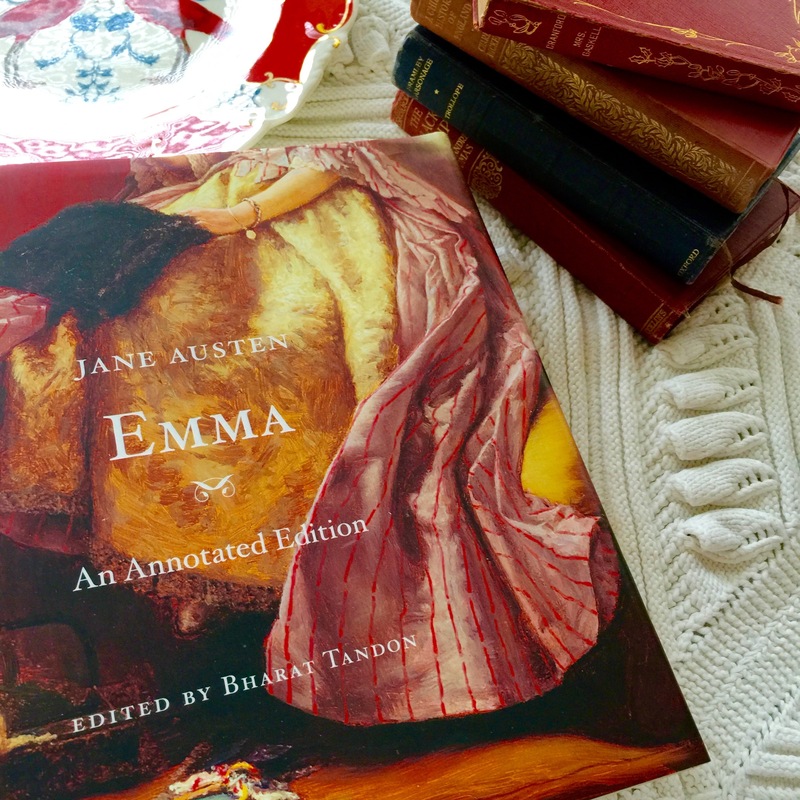 One of them seems undervalued by many, and that even goes as far back as Austen’s lifetime, when Emma was first published. Oh, but we could not have it so! The charms of Miss Bates are certainly more appealing given the distance of 200 years and the fact that she’s not in my living room right now swallowing up all breathable air. Yet, she is, for all that, ‘a loveable creature’. When Emma hurts her in a fit of spite, we feel it keenly. But in terms of plot device? Miss Bates is extraordinary. In her, Jane Austen has created an efficient information delivery system. The kindly old spinster is to the ordinary chatterbox what the diesel engine is to the electric toy train. With rushing speed, a lot of ground is covered. Much vital information is conveyed, to those who are actually paying attention. This is the secret to Miss Bates. She is a brilliant contrivance and her effect cannot be reduced by a single syllable. On a side note, this style of running conversation, which is honed to perfection in Emma, Jane Austen also gives to Mrs. Augusta Elton. In Augusta’s case, though, it is more of a self-congratulatory rodomontade, and she reveals mostly her own self in ways that do not flatter her. Again, a brilliant device for helping us get to know the ‘charms’ of the new bride in the briefest possible time. Miss Bates is all about other people and her lively interest in the goings on of Highbury. A useful person for the narrative, indeed, when you have clever little deceit mongers afoot like Frank Churchill, or the murky, convoluted doings of the superbly self-deceived Emma. To be honest, the first time I read Emma, I was inclined to read over these verbal passages swiftly, anxious to get back to the ‘action’. I have had real life talkers in my family that could give Miss Bates a run for her money, so I am used to the exasperated tune outs one must resort to in an effort to keep things moving. It’s only in recent years and retrospect that I have begun to appreciate this clever literary device used by Austen. 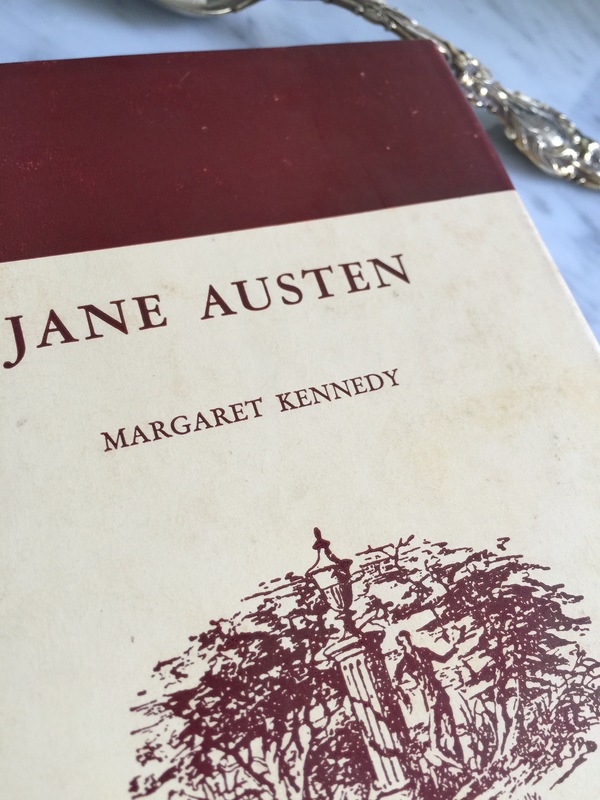 Recently, while enjoying Margaret Kennedy’s discussion of Jane Austen’s works, I was delighted to read of her own thoughts in this regard. Margaret Kennedy calls Miss Bates ‘a vehicle’ of the marvelous ambiance Austen has created in Highbury. ‘[Miss Bates] is frequently used by Austen to convey the scene and to tell us what everybody else is doing so that her speeches are highly informative although a general impression of triviality and incoherence is preserved. One monologue from her saves pages of narrative. She makes, for instance, two long speeches during the ball at the Crown, during which we learn that: It is raining. That the landlady of the Crown is standing in the passage to watch the guests come in. That Mrs. Weston is probably expecting a baby. That Miss Bates’s mother is spending the evening with Emma’s father. That it is in order to hold an umbrella over herself and Jane Fairfax that Frank Churchill has been hanging round in the passage all this time. That he has spent much of the day with them under the convenient and standing excuse of mending old Mrs. Bates’ spectacles. We learn also the names of many of the guests and that Mr. Elton is not the only clergyman present, the names of Jane’s partners for the first four dances and that none of them has been Frank Churchill because he means to secure her for supper and must not be dancing with her too often. That the long passage to the supper room has been covered with matting and a draughty door nailed up. That Frank Churchill is so eager to put Jane’s tippet on her shoulders and march her off to the corner he has selected in the supper room that he nearly takes her out before anybody else. That Mrs. Elton will have none of this and firmly takes place of everybody. That Mrs. Elton is still wearing her bridal lace and consequently claims a brides’ privileges. That Frank does maneuver Jane into his chosen corner at supper. That the Hartfield supper has consisted of tea, baked apples, biscuits, wine, and a fricassee of sweetbreads with asparagus which poor Mrs. Bates has not been allowed to eat because of Mr. Woodhouse thought it indigestible. That the two old people played backgammon. That Miss Bates herself for all her chatter has managed to slip out unobserved after the first four dances, has run through the rain in thick shoes to Hartfield, taken her old mother home, put her to bed and returned without disturbing anybody. You see how useful Miss Bates is?